Description: A concept album, I guess. 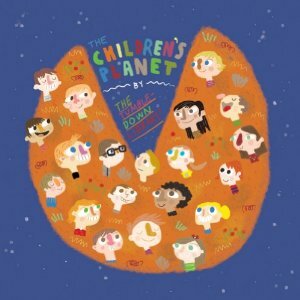 Twenty-seven songs of alterna-pop with some British Invasion touches, averaging less than a minute in length, one for each letter of the alphabet (plus an introduction), telling the story of 26 kids trapped on a planet. Really it's just a bunch of character sketches with echoes of They Might Be Giants' early years of brief songs mixed with echoes of They Might Be Giants' later years of quasi-educational albums. Kids with short attention spans will probably dig the brevity; adults may wish the hook-laden tracks didn't end quite so soon. Stream the whole thing (and buy it digitally for just $4) here. Recommended. Posted in Albums and tagged with The Tumble Down Library, They Might Be Giants. March 18, 2013 by Stefan Shepherd.